Since b-ong's Projects topik is only for finished ones, I've created this topik to future projekts. I have fear of make the piece of nether in a cave and someone splunk/stripmine it. I like the Piece of Nether idea. The CorruptChunks sounds like it wouldn't look very good though imo. Chunky stuff usually doesn't look very well imo because I always associate it with all the chunky glitches and bugs in the game. I'm going to make a Piece of the Bla. 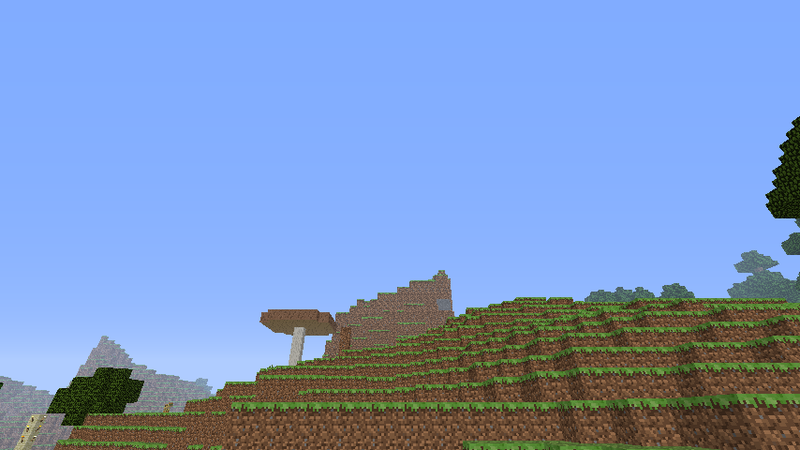 In 'corruptchunks' I was going to select pieces of mountain and interesting landscape and turn them in nether like. But i don't really wanna do it. any help would be wanted, please mine 1 layer under the cactus so we can remove cactus and make it look good. there are iron shovels at the work building. nether, slightly harder. Go to kip'z portal and keep going. Then when you see two other portals, turn (right) outside. There's a sky road. Either follow below it or on it. Then, find a sign says "guodisia" and go into the tunnel. At the messy intersection, turn left. 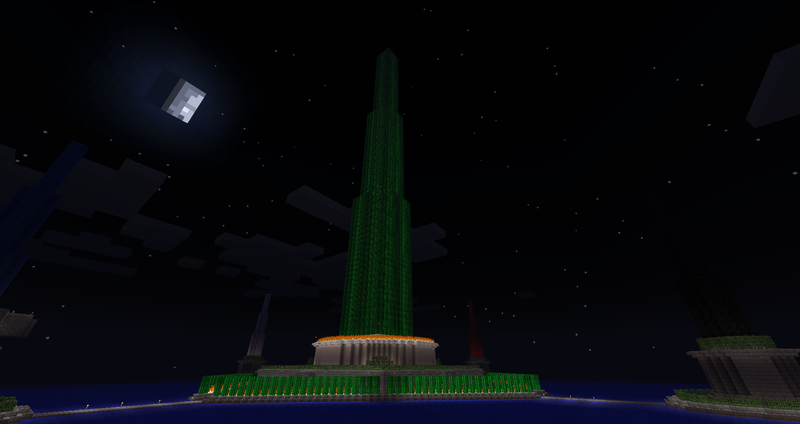 Finally got around to commencing to build the mob farm under Capital ala Spawntown Monster Factory. Dug a hole from y=60 down to my branch mine transportation tunnels. 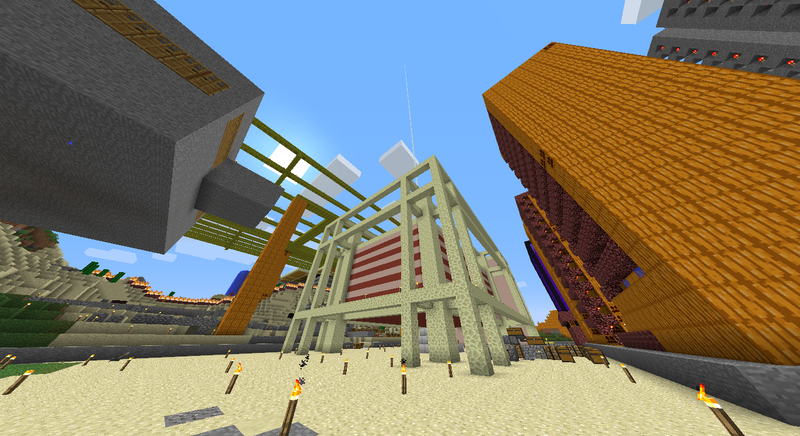 Beginning of underground Capital farm complex (also planning slime farms and other things under it). Going to use a piston pusher set up and fall damage. Very efficient and never fails, just fairly expensive. huh. i was planning do a mob farm above an ocean at at 170+ that way there are no mobs in a radius of 128 since the oceans go down to about 40 and possibly even deeper. plus then there's no need for quarrying. While that is a much better design, I don't have any oceans and the reason I built this in this location was so that it'd be running whenever I do anything in Capital. While there is some unlit caves, I got most of them through a lot of tunneling I have done. The lack of efficiency should be compensated by not having to sit there and afk for it to work. Cool. From my experience with Spawntown's factory, the pistons tend to glitch if the server restarts/chunks unload (Idk), which seems to break the hopper clocks with pistons and the crunchers, so that the piston arm becomes invisible and has to be destroyed in creative mode. If you make a big factory with pistons, you might want to check whether this bug still exists. If you build it to Jungelot's border, I can extend it to Novascotchara yes. I give no guarantee for when I do it though. I don't approve of A and B. Preparing the sugar farms below the Blue Ink Factory to place another ~1000 sugar canes. If anyone has lily pads or areas in their regions where they would be ok with me gathering them feel free to donate or something. Everyone can use the sugar farms. If sugar cane is put into the chests with the hoppers, the minecarts move it to a much bigger section of sugar cane chests in Spawntown's public storage. About 220 lily pads needed. You can use the huge swamp in Terra Salvaje or the one just north of Oasis City. Ok thx, gathered 384 lily pads in Tierra Salvaje. Going to plant more sugar canes immediately. 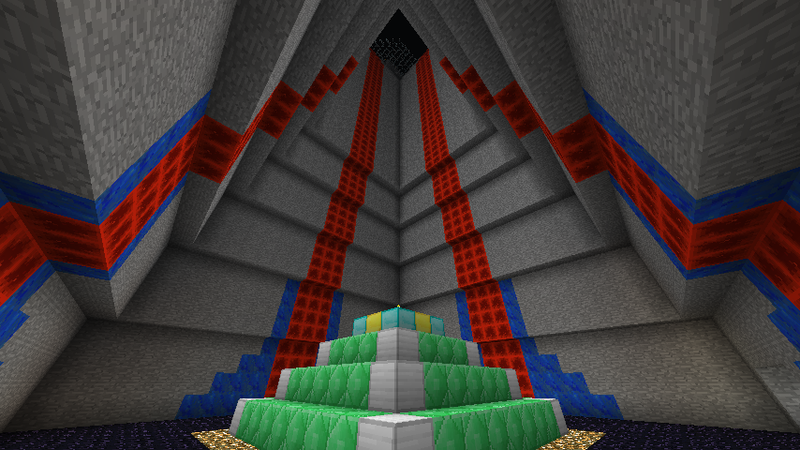 Considering building a large gate in the Kaktolake district that would be called "Stargate", be sort of equivalent to Redgate, Greengate and Yellowgate in Spawntown Wall, but in a more monumental way, you would ride under it on the main road to Ampluterra, it would be bigger and have symbols on top, probably something like the star on the voting center, and hammer and sickle. It would not be for "defense" and there would be no closing mechanisms. Another gate called Bluegate could also be built in the Blue Bay district, maybe if I consider building a wall like the Spawntown one there, maybe at the border to Earthquake Forest. In that case it would be like the ones in the current wall. Kaktoland Iron Foundry is now fully functional (I think) with 4 iron golem farms, which should theoretically produce about 160 iron ingots per hour, or 3840 per day (if it were loaded all the time). 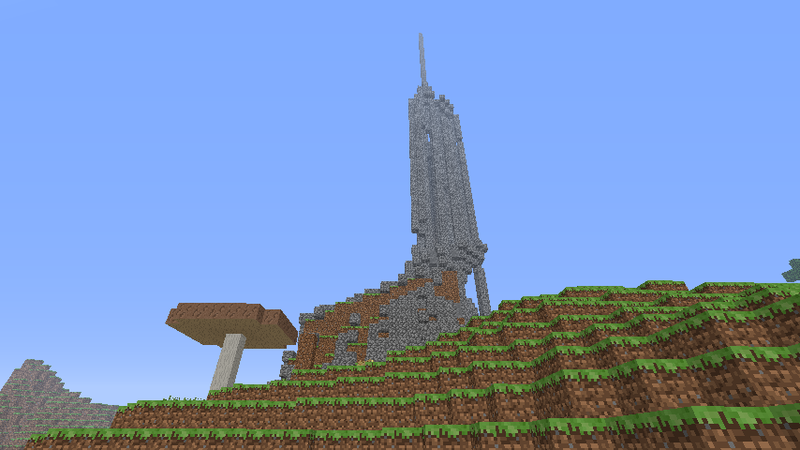 It is now by far the tallest building in all of Kaktoland. I plan to spend some extra time to make it look nice and as one single building, and I think it'll be my entry for Blavision. "Hidden below the dismissing of an iron golem farm as ugly lies another architectural challenge, shouting for a bright solution." Functional parts built on December 28-29, 2013. The factory is fully functional now! The factory is still manual though (there's a button for turning water on/off), and the windows aren't covered yet, so spawning rate is probably a bit lower than Spawntown's. But the fact that you can flush it should hopefully make it much more productive when I add a clock to flush periodically. Also the drop isn't deep enough to kill armored mobs, and spiders tend to crawl on the windows. The area is very long for piston strangulation. Adding flowing water near the bottom platform diverting them into a 2x2 area with piston strangulation at the bottom might be a good idea. 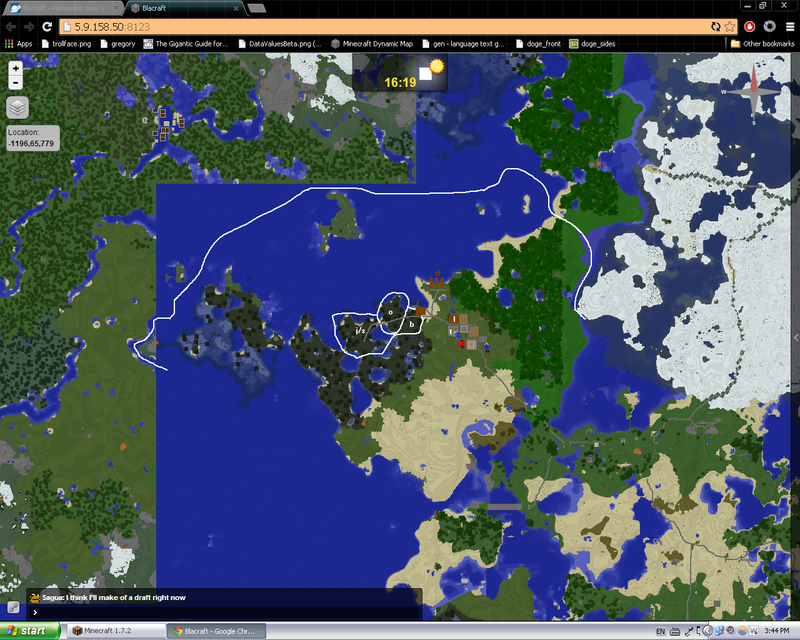 I might just make the area a bit deeper with a backdoor to kill off surviving mobs. As long as you don't stand down there, I don't think the spiders will crawl on the walls. Sandstone could make that impossible, but the windows look nice imo. The iron foundry has produced about 1100 iron while I worked on the factory today, kol. Nice. Connected the road from Darvwnse-a to Jungelot Cove and Novascotchara. Does the Bla blagree with this rail extension plan to connect Darvwnse-a by rail? You've expressed interest in a Swamphold station before, and this could enable a Jungelot station, so this would benefit you by adding consistency/the normal way to get there to those two places. Finally, both of us could get what we want with these stations if the red line is moved to meet with Jungelot or at least nearby. I think option 2 is a too big redirect for passengers going towards Kaeshar and Amazonis. Instead, the orange line can go to Swamphold and later in that direction if Jorster needs it, and a ring line could connect Jorster's area to Darvincia and Auspikitan later. Jungelot rails should be along x = -800. Hmm? The purple line was going to be a ring line from Auspikitan to Swamphold but I guess having the red line going directly under Darvincia is better because that'll make it leas difficult to get there. I could have my own rails to shorten the trip from Spawntown to Darvincia, making possibly something from SKA to Darvincia and under Darvincia split several different ways like to Ixklaxwv, the tree farms, the southern town, Jorster's bunker, and other things possibly. I don't really understand the purple lines, which segments are alternatives to which other segments. If you want your own line from Spawntown to Darvincia, that can be planned. Such a line would be more free in where to go than redirecting the red line, but a general southwest direction without too many slowing bends would be desireable so that it's useful for future developments in the southwest direction. The thick purple is an additional line that could be a segment of a ring line, according to the web plan. If you prefer this plan, I can approve that (thick lines) alternatively to the above plan. The purple lines were ring rails in my first proposal, yes. I wouldn't intend for people traveling to Kaeshar to go so far out of the way in order to get there, when going straight with one 90 degree turn is the fastest way to accomplish that. I can start construction on the modified red line and the orange line, as well as the purple line right away. Alternative red line dug out in 1x2 tunnel from Novascotchara to here, segments have been dug out to 3x3 tunnel. I was going to have the Darvincia line be a ring line but ok then???? Anyway, I have shítloads of stone so I can fill it back in. This way the SKA station is not displaced and my immense desire to not move my import/export building is satisfied. EDIT: I have filled in what I circled in purple and dug out Green and Yellow. I'll sleep now. I was going to have the Darvincia line be a ring line but ok then? The line you've drawn there is nothing we have discussed, you said you'd begin construction on the modified red line, from that I can only assume you meant the red line I posted to approve of, which is exactly what I dug out to help. I don't get why you ask for approval if you then just make some completely different plans then. And if you look at your first plan, the purple line you drew there went through the exact same area I dug out and the building. That would be a waste of time. If you don't think the line should be there just seal off the ending in Darvincia so the tunnel isn't visible. 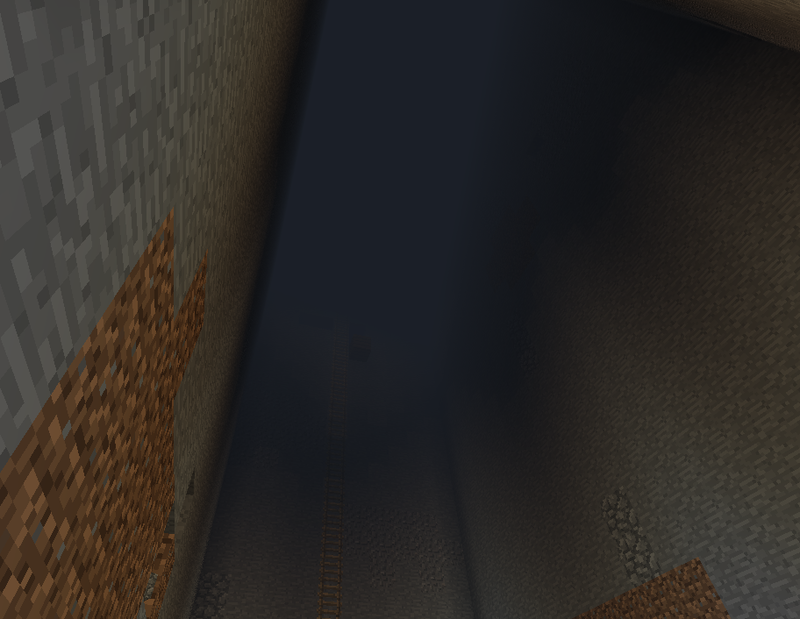 Filling it all in wouldn't make any more sense than filling in strip mines imo. Wtf. But ok, your stone, your time. But - could you post your plans for what rail lines you're planning to make now? I have absolutely no idea what they are.